It’s nearly impossible to miss the excitement surrounding the newest DC feature film Batman vs. Superman, starring Ben Affleck and Henry Cavill. Two of our all-time favorite superheros going head to head on the big screen: what a great way to kick off the spring season! 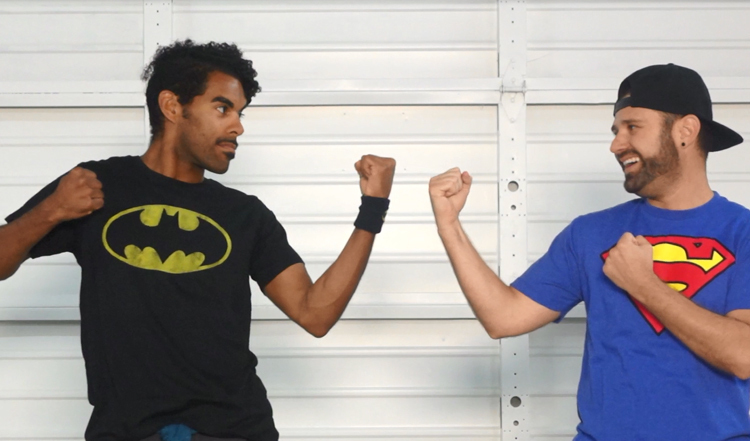 Today on the blog, we’re sharing Coach Ben Allen’s Batman vs. Superman inspired dance routine. You’ll probably want to grab your best friend and get on your favorite character’s gear to practice this one. One thing we think about when considering Batman, Superman, or any of our other favorite superheros is their STRENGTH. During your dance practice today, work at making your moves precise by using the natural strength of your body. Coach Ben is joined by Benjamin Ayers who will encourage you to find your inner superhero and pursue your passions! Make sure to follow Benjamin on Instagram!